We are using a Radium Engineering Fuel Surge Tank. A fuel surge tank (FST) is designed to prevent fuel starvation to the engine on vehicles with inadequate fuel tank baffling. The FST fuel pump feeds the fuel rail(s). The volume of fuel inside the surge tank acts as a buffer to always keep the FST pump supplied with fuel. This volume is maintained by the main fuel tank’s (lift) pump as well as the fuel returning from the fuel pressure regulator. This allows us to have the fuel tank located in the front of the car and the fuel surge tank in the rear, near the engine, and will allow the engine to have a consistent flow of fuel. 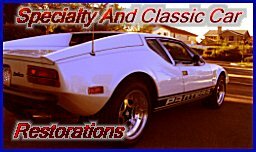 Visit Radium Engineering at http://radiumauto.com.